Museo Del Jujuete, on Twitter! The Buenos Aires Toy Museum, a world of toys made in Argentina, and everything from vintage toys to all kinds of games made in Argentina. First of its kind and Online since 1996. 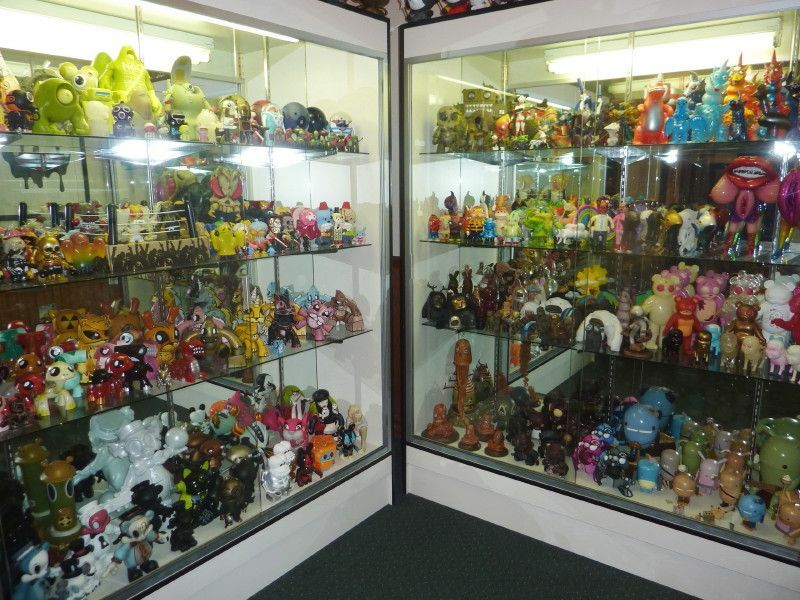 When you purchase an item at the Buenos Aires Toy Museum all profits are invested in the development of the Museum. When buying a toy from our Toy Museum you're not only buying a bit of the History of Argentina, but also contributing to the conservation of vintage and antiques toys, and to furthering the museum's research project on Argentine toy industries and to rescue valuable items for forget and the pass of time. Thank you for helping us to keep on developing this fantastic project! The Buenos Aires, “Toy Museum Team”. Living in San Diego has it's perks, the weather, San Diego Comic-Con, friends and family, but we really don't have to much of an art scene... more specifically a vinyl toy art scene, so the majority of us migrate north to Los Angeles to get our fix. Recently I had the opportunity to help curate a show up in LA with Jonathan Ma of Kuso Vinyl which was held at the new Toy Art Gallery, needless to say the name explains it all, and owner/collector Gino Joukar has had a vision to help broaden the awareness of what we all love and respect as art, and opening this gallery was only a matter of time for him. But what does it contain, and why did he do this? We sat down with Gino and asked all these questions, we even shot some video to give you all a small taste of what this gallery contains! So please hit the jump for the interview that is chock full of pictures and details about this amazing place! 1. 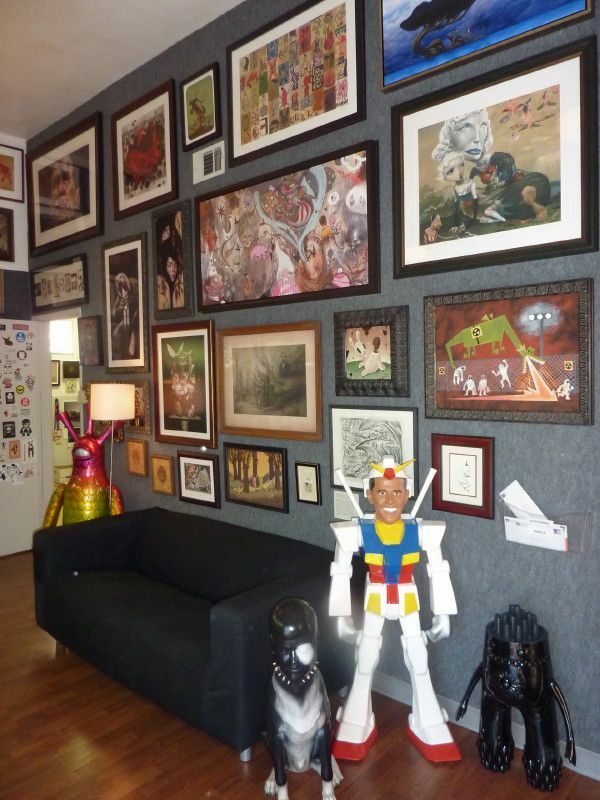 Hey Gino, tell us a little about yourself, where you come from and why/how did you start the Toy Art Gallery aka TAG? 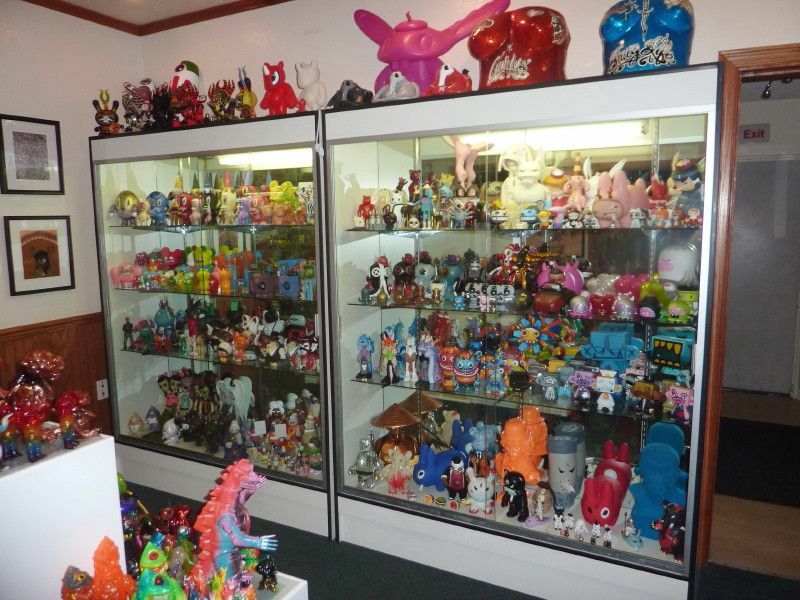 The idea began as the Art Toy Museum, to be located in San Francisco. 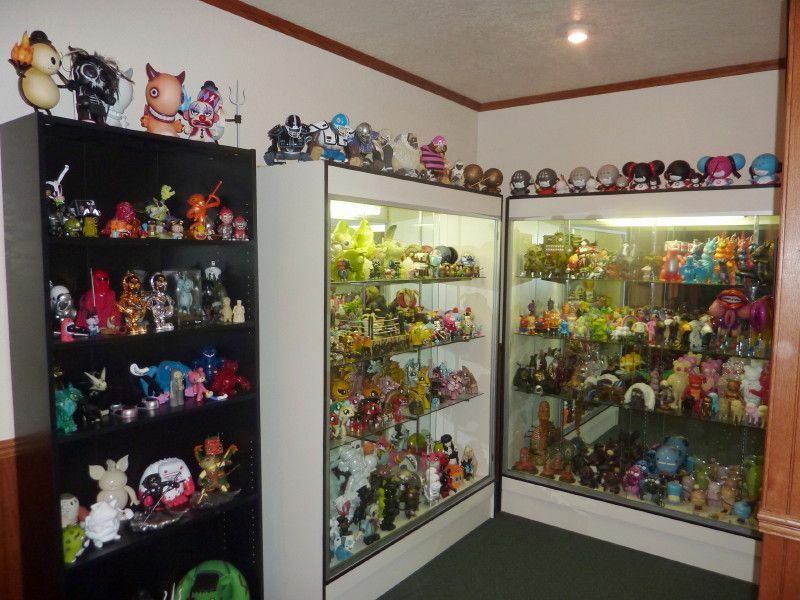 But the economy being the way it is, I decided to stick a little closer to home and house my collection in a nice showroom.of choice are toys and most galleries don't focus on this medium at all, so we decided to fill the void and got TAG started from humble beginnings. 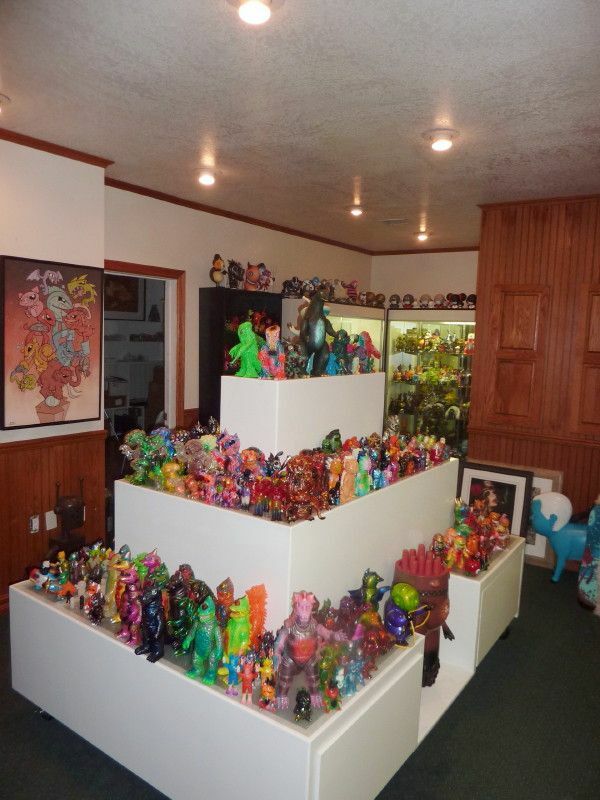 Then the idea grow in to the Toy Art Gallery, since there are so many great artists that we love but we never get to see them in shows, because there medium; especially when it came to serious kaiju figures. 2. So that being said, tell me about the intent of TAG. 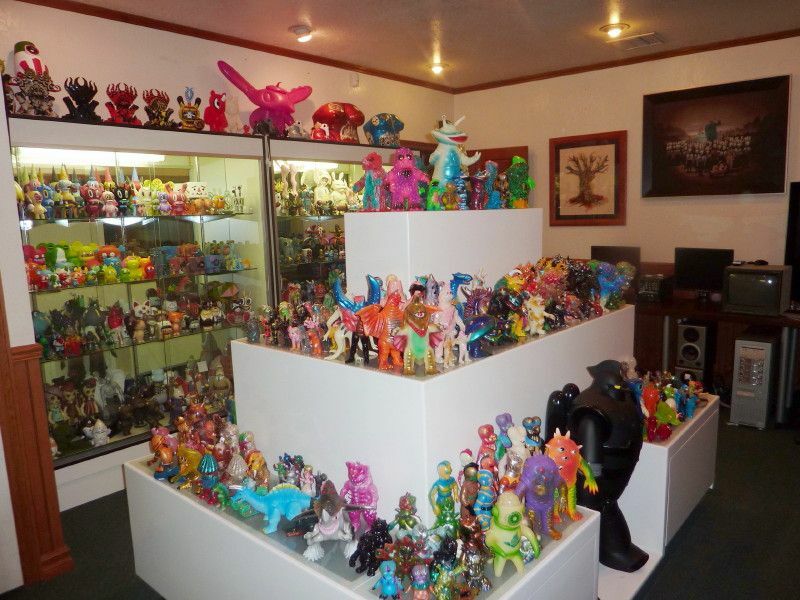 Basically put, our intent is to feature and showcase some of the top artists designing toys and establish figurative art toys a legitimate class of collectible art. 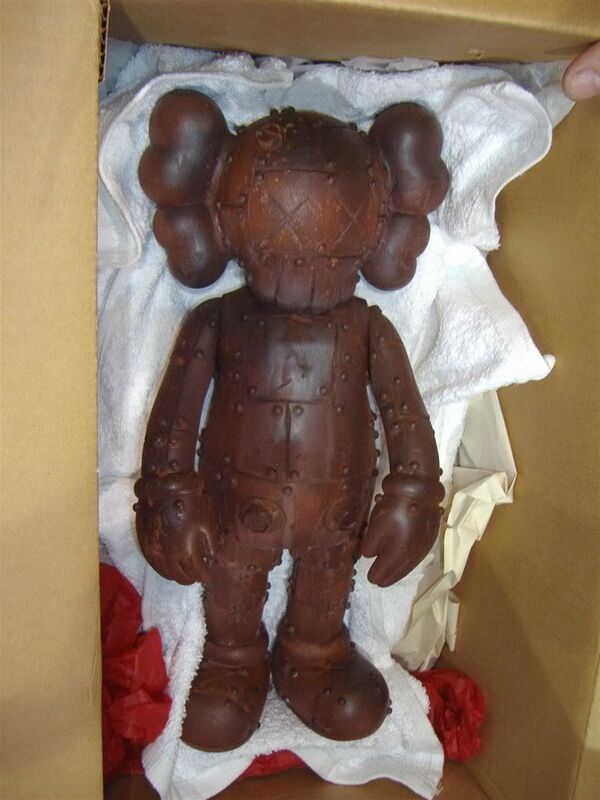 We'll be specializing in high end toys like life size figures, bronze sculptures and one of a kind custom toys. 3. 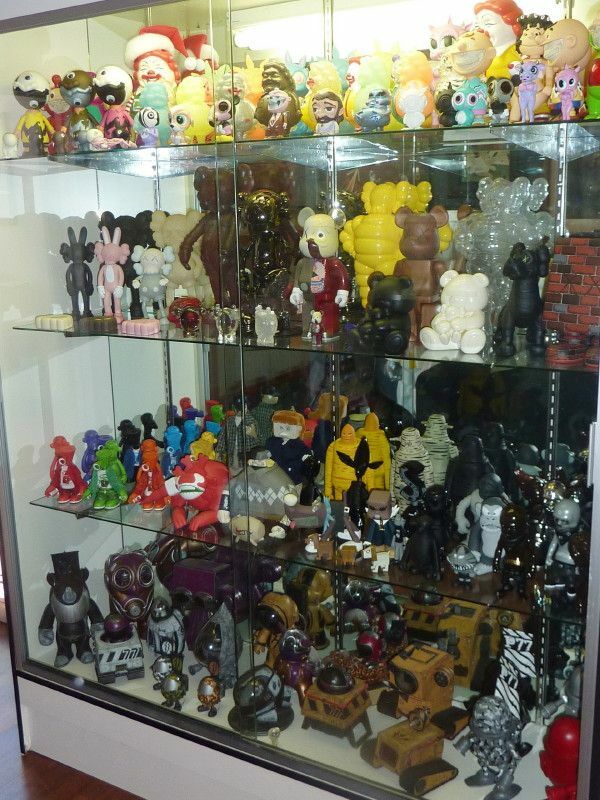 You have such a melting pot, a who's who of the art/designer toy field, what is the deciding factor (if any) to be part of this collection? Well most important thing is that I must like and enjoy the piece, since I'll be looking at it for a long time to come, then it has to be innovative, cutting edge, and totally unique; basically be an original. 4. Do you have any plans for events or shows, maybe open houses, and when do you plan on opening the doors to the public? Well we've been open to the public since beginning of the year and we've got plans to have shows here every month from here on forward, so our patrons have a lot of great shows to look forward to for the rest of 2010 and beyond. 5. Do you just have production pieces, or are you hip to the whole custom toy creation scene? Yes I started collecting production pieces but now a days I shy away from them and focus more on the custom figures, since they're more unique and original, and to me, more valuable. 6. Tell me about some of, I guess who you consider your hallmark artists that you are going to be representing. Well one of the artists that I'm real excited and proud of representing is Carlos Enriquez Gonzalez out of Venezuela, and then we're also thrilled to be working with artists like Blamo, Bob Conge, Cris Rose, Mark Nagata, Emilio Garcia, Francesco De Molfetta, Gabriels, and Blobpus just to name a few. 7. So the collection that we are seeing in the pictures... is this the full extent, or are you holding back, how much more is behind the scenes? Well what you see in the pictures is just a portion of my collection, I keep a lot of my favorite pieces at home. It's a work in progress and I'm getting more and more of my collection on display for everyone to enjoy. 8. 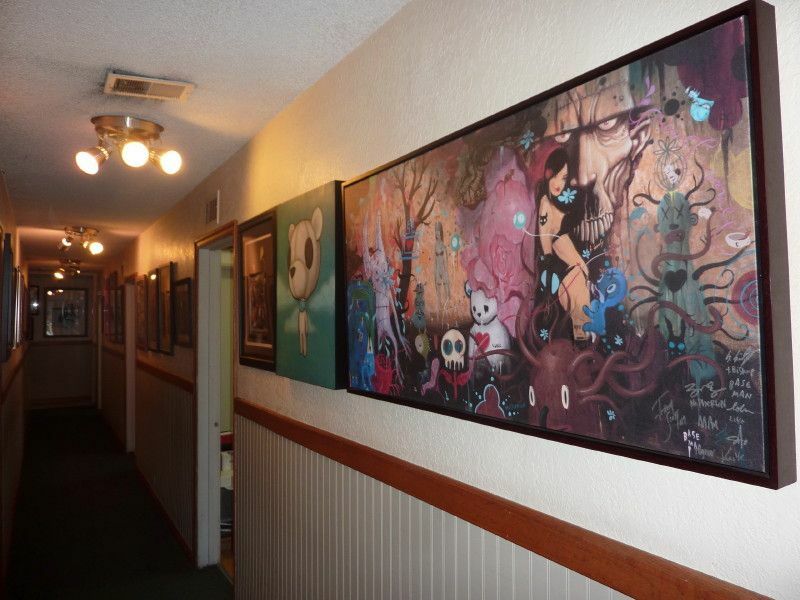 Now is the whole gallery on sale or do you have pieces in this collection that you plan on never letting go? Oh for sure, I've got some pieces that I'll never part from, but I like helping people with their collections and I don't mind giving up on a piece if I know that it's going to a good home. 9. 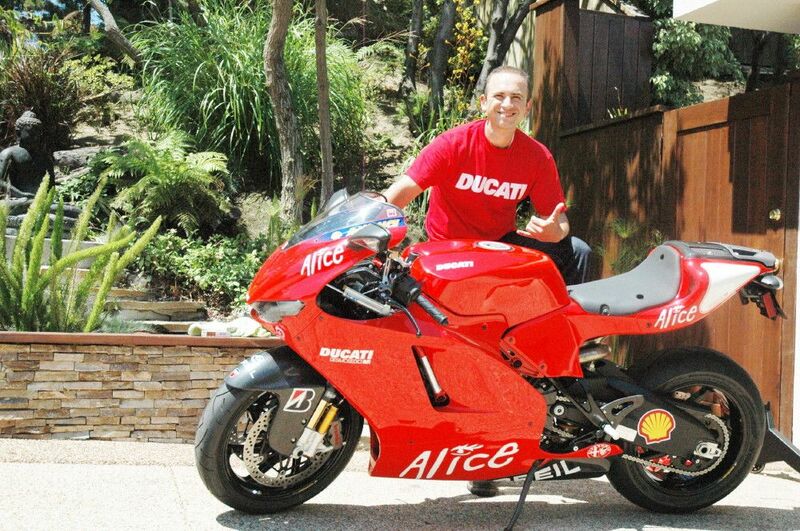 Knowing that you are based out of the Los Angeles area, how do you plan on servicing the global market? Well, we're about to unveil a major online presence and we already serve clients nationally and internationally. We're very familiar with the global market and have a great partnership with Fedex that allows us to guarantee delivery anywhere in the world in only 2-5 days; so clients from around the world will easily be serviced through our website. 10. With all of the art/figures you have procured, does TAG have plans on making their own figure/piece, maybe some ATC (Art Toy Collectibles) like bronze, resin, fiberglass? We decided a while back to start producing our own high end figures, since we could not find that many in the marketplace. So we've got a lot of great top secret projects in the works and we're thrilled about debuting our first few production figures at the Red Carpet Kaiju show. Our production brand, TAG TOYS, will be producing figures in bronze, ceramic, fiberglass, precious metals and stones, as well as other innovative methods to take our figures to the next level. 11. Turning this back onto you... are you a collector, what collections do you personally have? 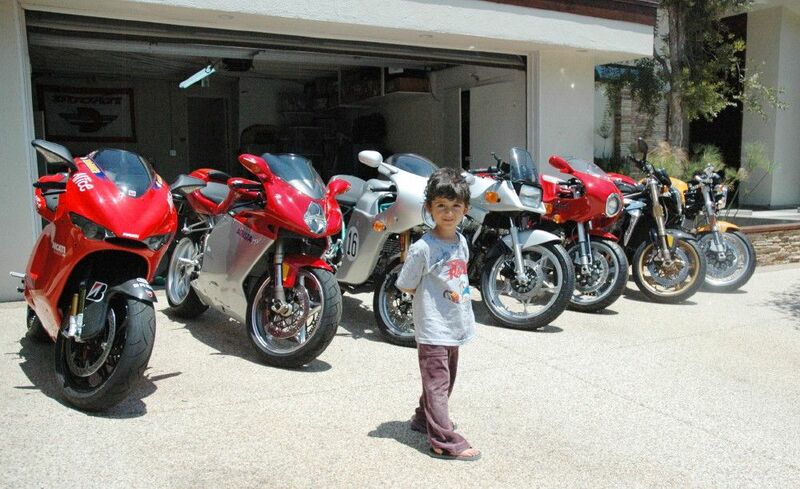 Yes I've always been a collector ever since I was a kid starting out with stamps, coins, and now I'm also in to collecting bikes, pens, pins, and other memorabilia. 12. 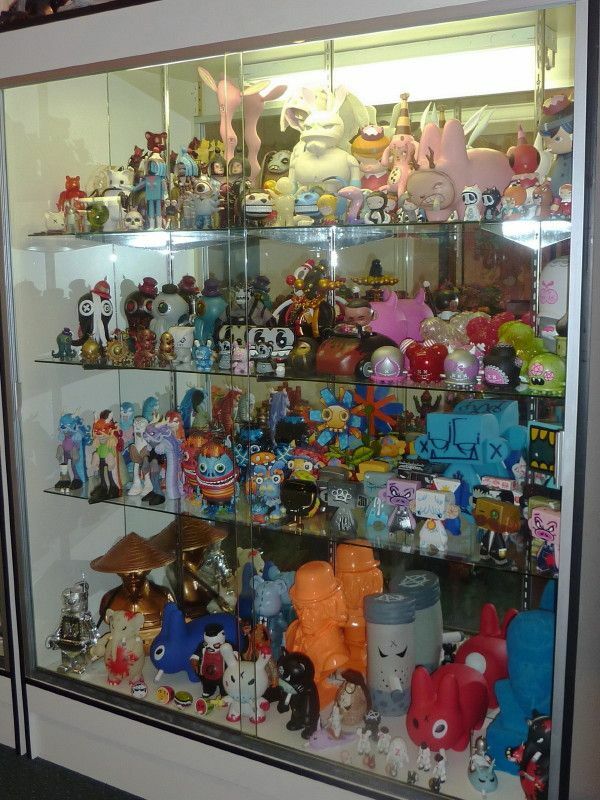 What is your most prized possession in your own personal collection now? Hum, I've got lots of prized possessions, but some of them would have to be my Ducati Desmosedici RR motorcycle, the original painting that I've got by Michael Hussar, and the original "500 Year Old Companion" custom figure by Frank Kozik; these are some of my top prized possessions in my collection. 13. What is your "Holy Grail" the one piece that you do not have but, want so badly! Oh gosh again there is so many great pieces that I love to own but the Holy Grail piece for me would be the life size Grin by Ron English & Garageworks industries, I'm still kicking myself for not buying it when it first came out. 14. Give us some juicy info that won't get you in trouble, but will make our mouths drop wide open. Well I'm real fortunate to know a lot of great artists and we've got lots of great shows and releases ahead in 2011. We've got plans on doing a group show for the Mark Ryden YHWH figures, as well as one for the Jumping Brain figure by Emilio Garcia, and hopefully for Jermaine Rogers Squire; which is one of my all time favorite figures out there. As far as production figures are concerned, I can't divulge to much about our future releases, what I can tell you is that mouths would drop wide once they see some of the figures we're working on and we'll be releasing some in 2010 & others will follow in 2011 and trust me they're all amazing; hope you understand! Thanks so much for your time to answer all of these questions Gino, and thank you the continued awareness that you are putting forth show that these are not just toys, but art!